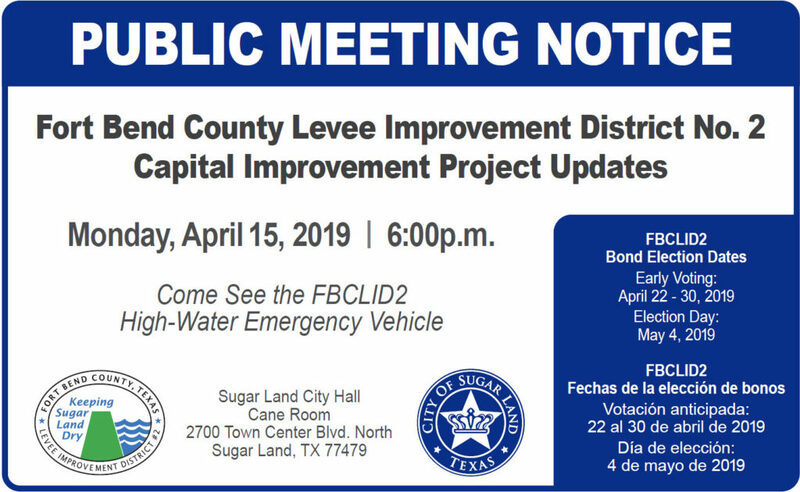 Did you know Fort Bend County Levee Improvement District No. 2 (FBCLID2) protects over 9,000 homes and 100s of businesses exceeding $5 billion in appraised taxable value? View district information like this and more in the 2018 FBCLID2 Annual Report. This year’s report contains general information about FBCLID2, including district facts and historical information. The report also contains the district’s historic and 2018 tax rates and taxable values. Information on 2018-19 capital improvement projects and the upcoming 2019 bond election can also be found in the report.